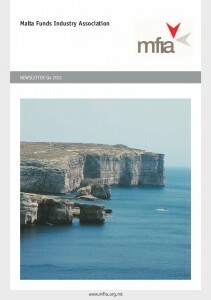 This article by David Zahra, partner at Camilleri de Marco & Zahra Advocates, first appeared on the Malta Funds Industry Association (www.mfia.org.mt) newsletter for Q4 2011. As Malta increasingly becomes a domicile of choice for hedge funds and their managers, a natural question arises: can hedge funds source enough capable and experienced individuals to keep up with the demand for independent directors on their boards of directors? This challenge is typical in all financial services centres, particularly in those of our size. A limited pool of human resources may lead to individuals sitting on a large number of boards at the same time. A recent Financial Times investigation on the Cayman Islands identified one “jumbo director” sitting on more than 560 boards! Internationally, investors are calling for transparency in the number of directorships hedge fund directors hold. These calls have increased following a number of recent court judgements, in particular the Grand Court of the Cayman Islands judgement in August 2011 which found the directors of Weavering Macro Fixed Income Fund guilty of wilful default in the discharge of their duties and which ordered them to pay significant damages to the fund’s liquidators in compensation for the losses it suffered. The two directors on the Weavering fund were directly related to the fund’s manager, consistently signed documents without making any enquiry whatsoever, signed sham investment management agreements and advisory agreements without either reading them or knowing that the agreements would never be acted upon and even produced false board minutes. Moreover, the directors completely relied on their legal advisers with no analysis of the advice they received. The Weavering judgement highlights the necessity, and the importance, of appointing independent directors with the required expertise to carry out their duties professionally by complying with strict codes of conduct, making the necessary enquiries, applying their minds to the matters in issue and diligently supervising the fund’s performance. Individuals accepting directorships should make sure that they have sufficient time and enough logistical support to properly discharge their fiduciary duties. Malta has taken note of the current debate and developments in competing jurisdictions. Experience has shown that service providers in Malta refer as directors, individuals who are adequately qualified and who have the appropriate expertise and experience. Moreover, the MFSA (as reported by Hedge Funds Review) is seeking to introduce a system whereby directors are assigned weighted points according to the responsibilities they assume on boards, rather than limiting its focus on the number of directorships they may hold. An overall maximum point limit would be imposed and, accordingly, restrictions would be proportionate to the responsibilites and commitment assumed by each individual. Malta’s current status as a jurisdiction of choice for hedge funds and fund managers can also be attributed to the manner in which Maltese directors on funds discharge their duties. As Malta seeks to consolidate its attractiveness, the MFSA’s efforts to put the oversight of the corporate governance side of funds and fund managers as its top priority for 2012 are an important step in the right direction.